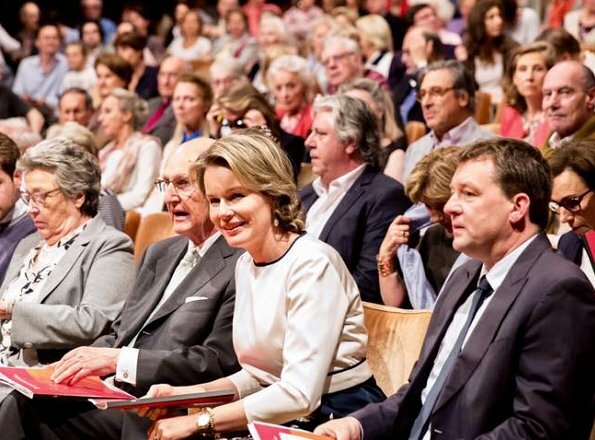 Queen Mathilde attended the first session of semi final of the Queen Elisabeth Cello Competition 2017 at the Brussels Flagey Cultural Center on May 15, 2017 in Brussels. 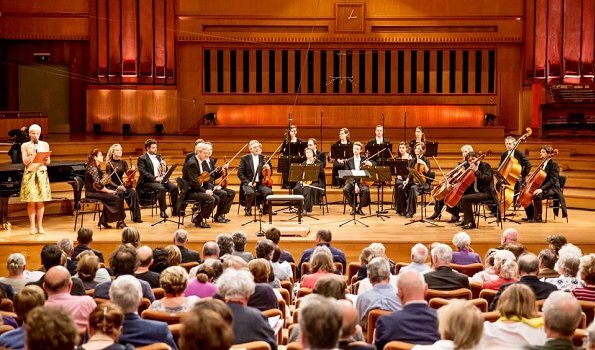 Yesterday, the jury has announced the 24 cellists who go through to the semi final. La reine est belle et elle rayonne. 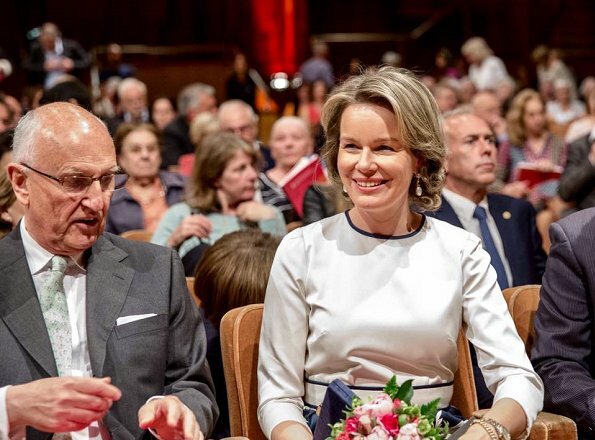 Mathilde looks good, I can't see this dress so well, I suspect it cuold be a little bit narrow for her - but never mind, this event must have been wonderful, I wish I could be there too! A little lipstick would give some color & polish to this understated and sophisticated dress. I also miss the blue eyeliner she used to wear to accent her gorgeous eyes!